This iron on is a circle patch done in black with matching trim. It features a bright pink with white polka-dot bow and bright yellow shoes that are embellished with their own cute little red bows. 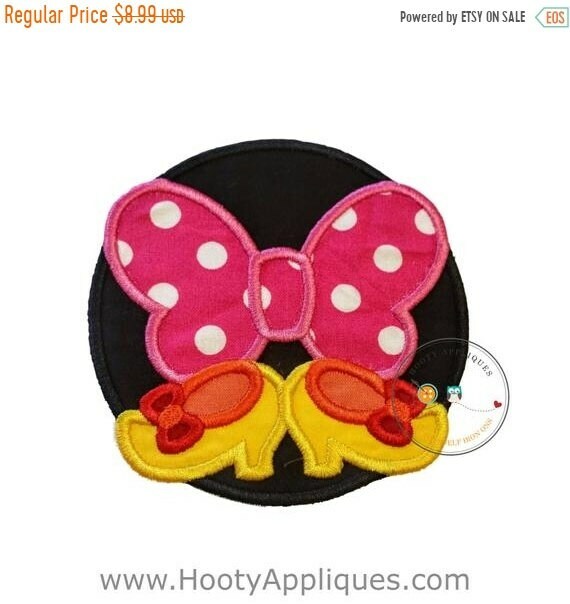 Super cute applique for any Minnie enthusiast . This iron on patch measures 4.50 inches wide by 4.25 inches tall.